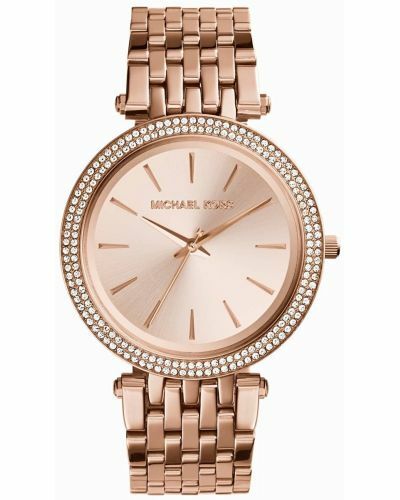 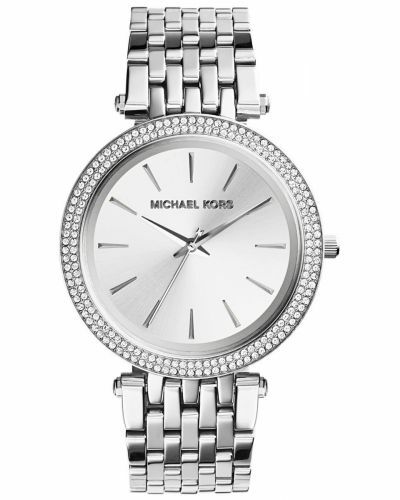 Brought to you by renowned American fashion designer Michael Kors comes the Darci women’s watch; a stunning amalgamation of sublime craftsmanship and exuberant design flair. 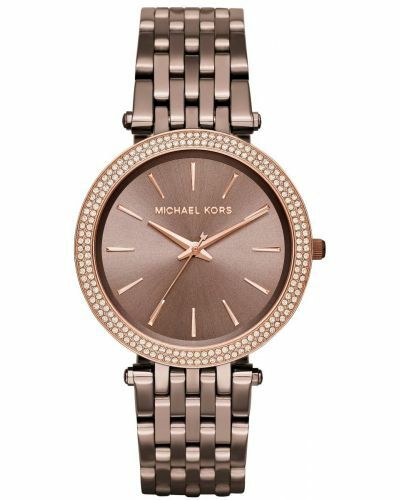 Perfectly on trend, the Darci watch features an elegant highly polished gold plated stainless steel slim link bracelet complete with a push deployment closure. 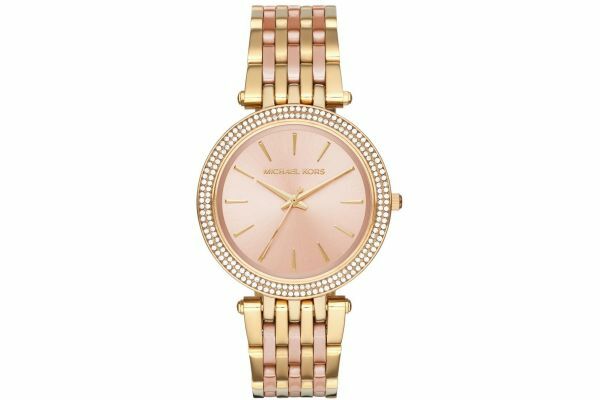 The oversized 39mm round polished case is complimented by the alluring crystal set bezel and houses a stunning rose gold sunray dial. The Darci watch features delicate gold hour markers; sophisticated gold batons and gold second hand complete this astonishing watch. 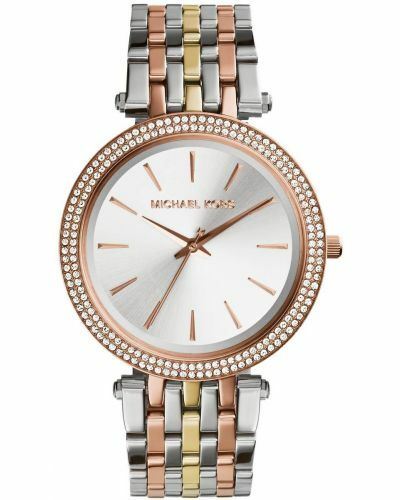 For us to size your new Michael Kors Darci watch as accurately as possible, please take a look at our downloadable Watch Sizing Guide.